A veteran of the Canadian comedy scene, Glen has been a popular headliner for over twenty five years. His Gemini nominated comedy special “That Canadian Guy” struck a chord for its hilarious, and accurate portrayal of the conflicted Canadian psyche. Glen’s comedy appeals to those people who appreciate a more intelligent and slightly “edgy” brand of humour. His material is mostly clean and always clever, topical and timely, reflecting his own experiences as well as current events and popular culture. He’s also not afraid to inject his own political and often “politically incorrect” opinions and social commentary. It’s all in good fun though, and his intention is never to shock or offend. Glen is a popular corporate entertainer, performing regularly at conventions, golf tournaments and other business and charity functions. 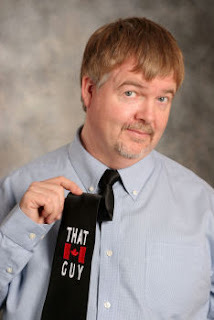 Glen has made seven appearances on CBC’s “Just for Laughs” and has also performed on numerous other television shows including “The Winnipeg Comedy Festival”, “Halifax Comedy Festival”, “The Mike Bullard Show”, and “Comedy at Club 54”. Videos appearing on this site do not necessarily reflect Glen’s corporate performances, which are generally much cleaner and contain less controversial subject matter.